I want to give you access to our ebook for free (you can download it below). You’re a part of the PTProgress community now, so I’ll make sure to email you ONLY when there is something really valuable. 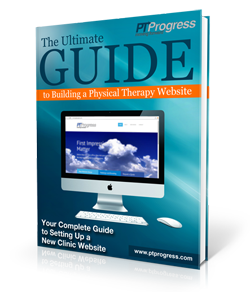 Here’s the free eBook: The Ultimate Guide to Building a Physical Therapy Website. To download, right click on the link below and choose “save as” or “save target”.